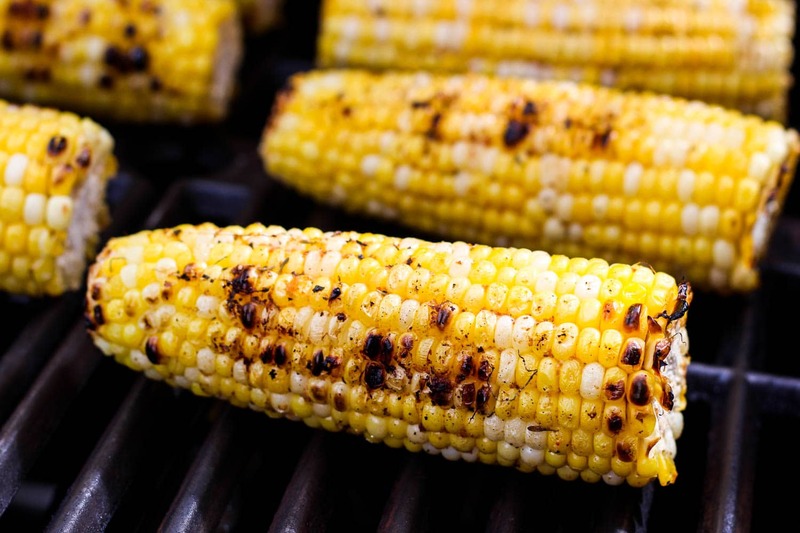 Grilled corn, aka butta is the quintessential taste of Indian street food. This spice mix offers a twist; the addition of thyme and oregano dispense warm and peppery undertones. Spicy, smoky, tangy and absolutely delish. How can you resist? The wait is over for grilled corn! Summer weather is finally here (on and off though), and we’re wasting no time. Yesterday, we couldn’t resist but fire up the BBQ and throw on these corn on the cobs. The best grilled corn I ever remember eating was from my jolly uncle in Pakistan. I was 5 years old. Sullaiman uncle certainly knew his way round the grill; from the most delicious spicy grilled chicken, to succulent masala fish – he knew how to dine and entertain us. This was my first memory of grilled corn and when I fell in love with BBQs. From then on, butta was my go-to treat in the streets of bazaars. And now, I can enjoy those flavours in my home in Toronto. It can’t get any simpler than this. 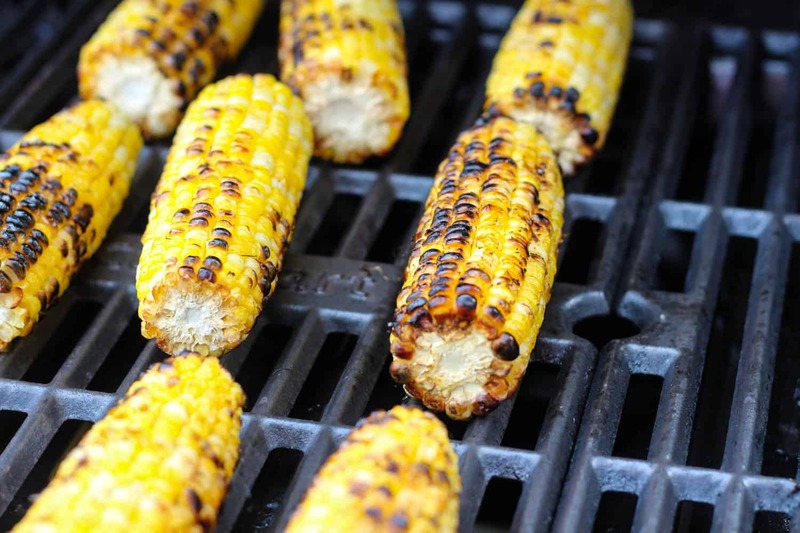 Ignite your BBQ, prep you corn and favourite vegetables, rub on the spice mix and lay the corn down – ready to grill. I’ve been experimenting with this spice mix recipe for a few Summers now, trying to make it ‘just right.’ I can definitely say its had its fair share of testing and has never failed to impress our guests. We find this grilled corn recipe to be the perfect side to accompany vegetables, burgers, meats and tofu. There are several ways to grill corn; in their husk, enveloped in aluminium foil or naked – like this recipe. I must admit this is our favourite. 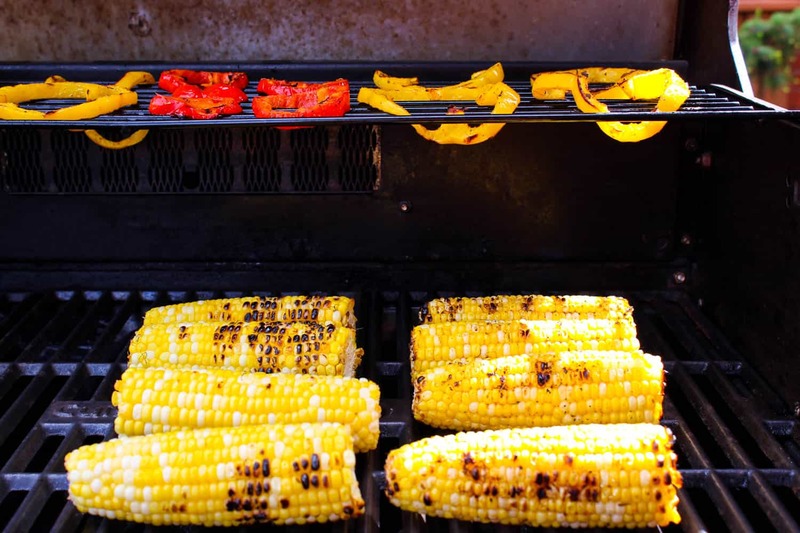 But before you start grilling, the most important thing to remember is to use the freshest corn you can find. Did you know that as soon as corn comes off the vine, the natural sugars in corn undergo enzymatic reactions – converting them into a bland type of starch? Here are some fun facts about corn that may surprise you. What’s your favourite grilling memory? Share in the comments below. Preheat the grill. Rub the corn with the spice mix and place on the hot grill. Grill the corn on all sides until slightly charred and cooked through about 10 minutes. Leftover corn will store well in the fridge for around 3 days and can be eaten cold or reheated in an oven.